Aren’t dark circles fun? And crows feet? Even worse than having any kind of problem area under your eye is getting ripped off… Buying a cream only to find out you wasted your money and it does nothing is an extremely frustrating experience. And an unfortunately common one, for that matter. That’s why I’ve rounded up the list of the best eye creams so that you don’t end up disappointed. Disclaimer: Every eye cream works differently for everyone. At the end of the day, something that works for me might not work well for you. Something that works well for you might not work well for me. But in an effort to help guide your search for the best eye creams, I have gathered what I feel are the best across a wide variety of prices that should all help you. Another thing I have to say: while these products do work and do help do things such as decrease puffiness, have an anti-aging effect and such… one thing that I am always sort of skeptical about is totally diminishing dark circles. While they can help and definitely create some results, by no means will any cream be a magical cure. 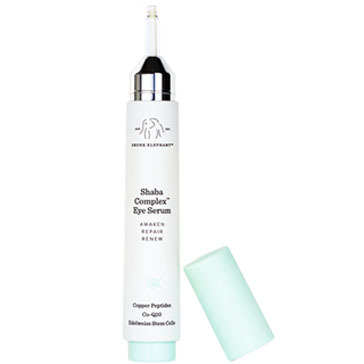 This is an insanely, well, “refreshing” eye serum. I have tried others that are effective but aren’t lightweight enough to be able to wear… especially in the day! This one is surprisingly very potent but not greasy. You will want to buy it if you want something that you can wear while still looking shine free. Also good for dry skin and oily skin… in other words, anyone and everyone can use this! Now, I would not say this is 100% accurate, but some of it is true. It is definitely an extremely rich cream and is a heavy duty one as well. What ingredients does it contain that are supposed to produce these dazzling effects? 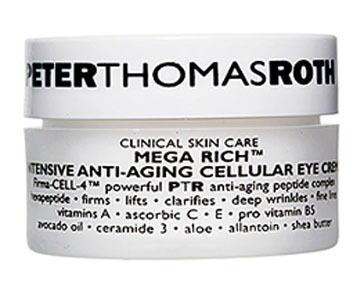 This is a classic eye cream that I’ve liked for years, which is why I have to include it on this list. I have a special fondness for these kind of creams, because I love things that are lightweight and are going to not screw up my makeup. This cream/gel consistency is ideal when it comes to makeup application. It will not create any kind of greasy, frustrating effect. It is a very good one for people who have combination to oily skin. In addition, it is known to help decrease puffiness around the eyes and even somewhat help undereye circles (somewhat). The bottom line about this one is, it is “An award-winning, lightweight eye cream-gel that diminishes the appearance of eye puffiness, darkness, and fine lines.” There is a reason it’s award winning. And the price is relatively reasonable. It’s a good buy. 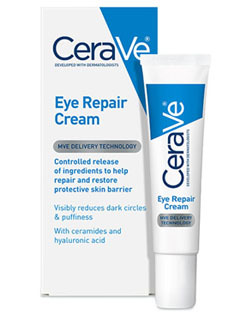 Honestly, though, if you have really bad problems with dark circles and fun eye issues like that, I would opt for another, more intensive, cream. 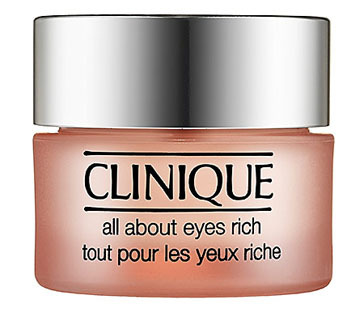 If you generally want a solid cream for under your eyes, though, this one works well. It promises to reduce the appearance of dark circles, diminish any puffiness and help to “repair and restore the protective skin barrier.” It contains ceramides and hyaluronic acid, both ingredients that you want to find in an eye cream. 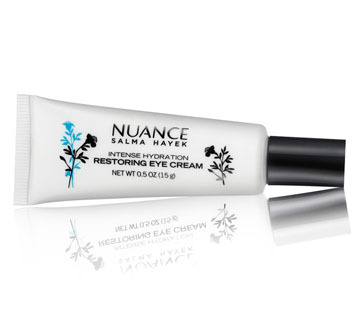 This is a very lightweight cream that’s also affordable, so it can’t hurt to try it. There is no real reason not to. It has solid ingredients that are going to 1) be effective and 2) not irritate your skin! This is an excellent, reliable brand when it comes to all-things skin care, which includes eye cream! The type of cream this is… is for those who need an intense eye cream designed to hydrate and combat pesky wrinkles formulating around your eye area. What ingredients does this contain and why is it a solid eye cream? It contains “Firma-cell-4™ and added anti-aging benefits helps reduce the visual severity of deep wrinkles and fine lines for younger looking skin. This formula supports natural collagen production and elastin synthesis and goes beyond retinol to firm, smooth, and visibly lift the delicate eye area. If you are trying to diminish dark circles, this one might not be for you. But if your goal is anti-aging, then it’s awesome. This one is a must have because of its affordable price point and effectiveness. 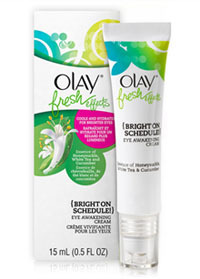 Olay has notoriously good anti-aging products, which also applies to the eye cream! This is going to help diminish crow’s feet and plump up the fragile skin around your eye area. And when you consider the price… How can you not get it? Tarte is normally known for its makeup, but has a surprisingly good eye cream as well. Very, very good, in fact. I love this brand in general… and its eye cream is no exception. What does this contain? This cream is going to help you if you use it over time. I love it. If you happen to have extra cash and are willing to spend the money, this one is excellent. It comes in a pretty jar and feels excellent when applied. It has an almost cooling sensation that’s hard to describe. It isn’t a super rich or intense cream, but will offer some hydration. It’s also a delightful de-puffer and will fight against dark circles. Will use over time, dark circles will slowly improve. 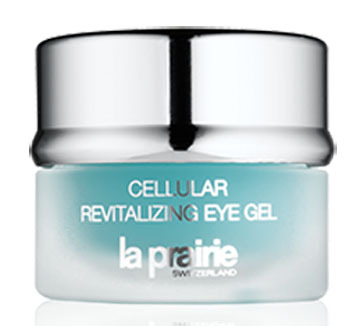 In addition, this “helps to eliminate the inflammation, dehydration and loss of youthful firmness in the eye area. 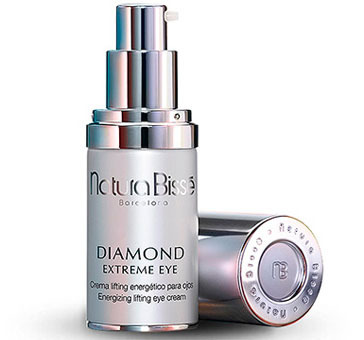 This ultimate eye-care treatment was designed with multi-action interceptors that counterattack at every stage of aging helping to prevent, repair and maintain the delicate skin around the eye area. And it’s packaging is extremely pretty. It’s an adorable light blue that I love to look at. I know this isn’t relevant, but it’s true. It looks delicious on your makeup counter, vanity or bathroom sink. Love love love. This one is extremely effective at soothing your under eye area. If used over time, it’s going to gradually decrease dark circles and make your eye area less puffy. It’s also excellent for sensitive skin, is fragrance free and contains excellent soothing properties. The packaging is unique, too. It doesn’t come in a jar but rather an almost dispensary pump type of thing. It’s easy to preserve the quality of the cream and to dispense just the right amount for your under eye area. The reason this eye cream stands out is because it isn’t just going to help you temporarily or on the surface, it’s actually designed to deliver real results, not just temporary camoflauge. I love this one. I have actually been using it any time I want to soothe my under-eye area. It’s an amazing one, truly. I highly recommend it. In addition to consistently using an eye cream, you can always use a sliced up cucumber for a quick de-puff! I agree with Vogue UK, that the Made from Earth Chamomile Eye Therapy is #1. Vogue in the US has put them as #4, but that Chamomile Eye Therapy deserves to be #1 cause I saw the best results using that – and this is coming from someone who used to have very tired looking eyes. super love La Prairie products! though a bit more pricey than others, important thing is it really works! 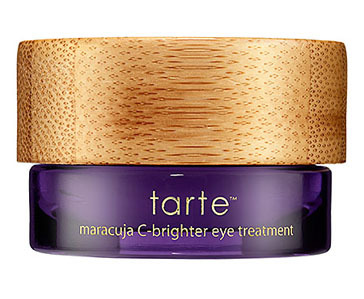 I love how Tarte Maracuja works to brighten the under eye area, this is a great product! nice to see an article like this, it gave me more options about beauty creams! needed something like this article, i’ll try some of these products. thanks! will definitely try out some items on this list, thanks! thanks for this article, i’ve been looking for something to refresh my stressed eyes after a hard day’s work… i’ll definitely try Tarte! i love everything about beauty esp facial care tips! i love skin care products, im definitely going to check out these products. 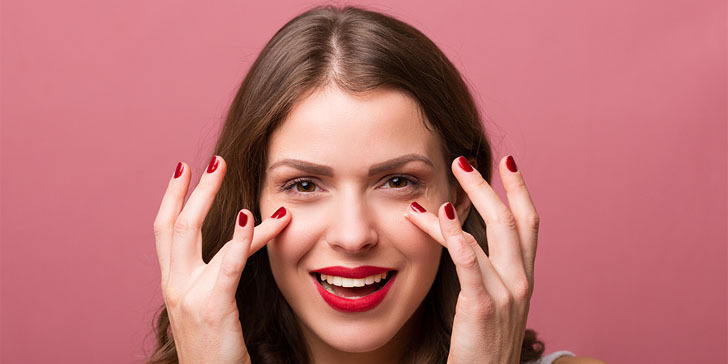 love beauty articles, this one’s a big help for my always tired eyes. i have always loved olay products which i took after my grandmother..i’d like to get the eye cream..no doubt it will be worth the try. wow, i love this post! will research more about this products and try them.